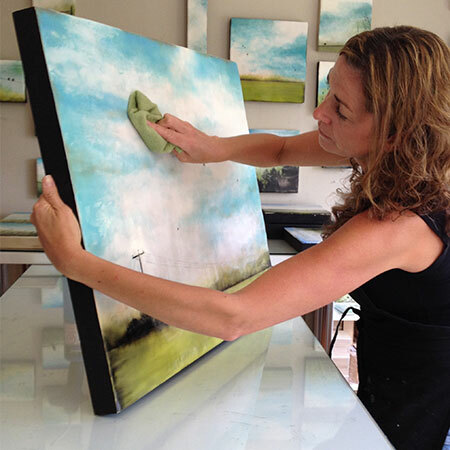 Encaustic refers to a medium and process that uses beeswax, pigment and Damar resin. This ancient medium was first discovered by the Greeks and the Egyptians, dating back about 3000 years. The medium itself is molten, each layer is brushed onto a wooden substrate and fused with a heat source – I use a blow torch. 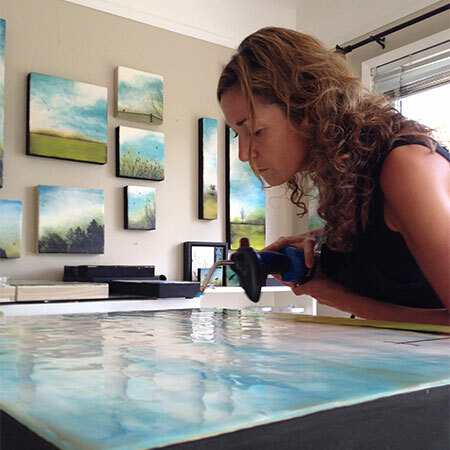 Fusing each layer is of the utmost importance for a proper bond to be achieved – creating authentic encaustic artwork. Pigment (oil paint, dry pigment, and oil sticks) can be used with this medium to create the desired artists palette. as the beeswax acts as a natural preservative, allowing pigments to remain true for centuries without fading and is an idea medium to incorporate fragile or non-archival materials within its layers. The resin is added to increase the durability and flexibility, also to encourage a curing process rendering a luminous sheen to the finished artwork.